Here’s a quick tip I picked up via the Stanford CS193P iPhone Programming (coral) course. 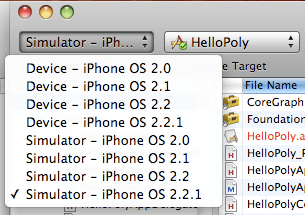 Normally, to switch between device and simulator debugging requires going to the Project > Set Active SDK menu. Since I switch between said active SDKs almost every other build at points, the whole menu thing gets annoying. Luckily, it’s easy to put this drop-down menu in your toolbar in Xcode. 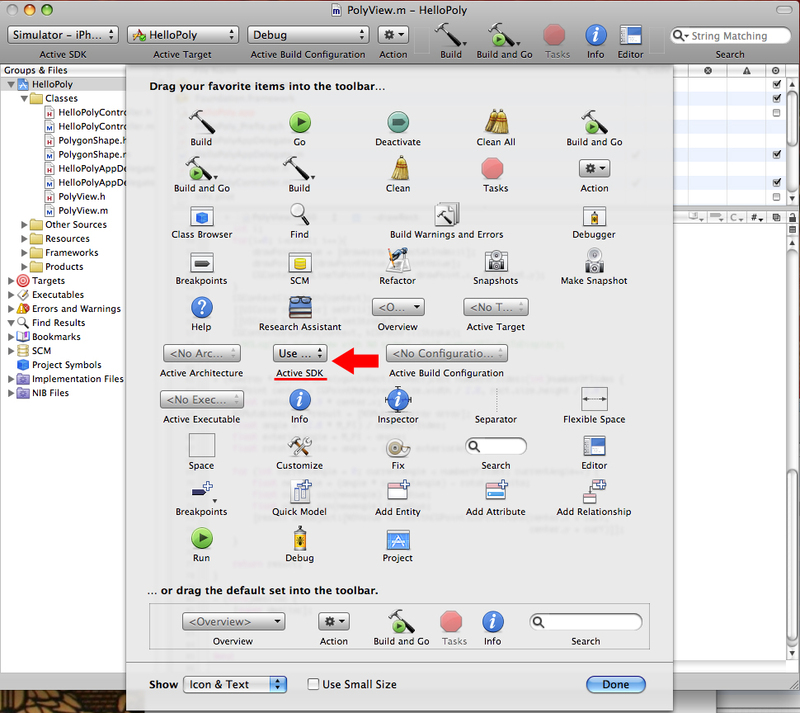 All you have to do is right click (Cmd-Click) somewhere on the toolbar, select customize, then drag the “Active SDK” item from the panel to the toolbar. Take this one. Drag it to the toolbar. You’re good to go.